Compared with most budget telephoto lenses, the ones we’re featuring here are faster in two crucial areas: aperture and autofocus. Unlike relatively low-cost telephoto zooms with variable apertures throughout their zoom ranges, many lenses in this group have a maximum aperture of f/2.8, which remains constant throughout the zoom range. That makes the aperture two f/stops larger at the telephoto end, enabling a shutter speed that’s four times as fast. Fast shutter speeds are essential for freezing action in fast-paced sports, and lenses with larger apertures enable this when lighting conditions are anything other than bright and sunny. It’s even more important for indoor venues; you’ll be able to get sharp shots without the need to ramp up your camera’s ISO setting, which can degrade picture quality. Another bonus of a larger aperture is that it reduces the depth of ﬁeld. This is useful when you’re not panning, as it enables you to blur backgrounds and isolate the main area of interest. Naturally, a zoom lens isn’t the only choice, and there’s something to be said for the pure optical quality of a prime lens. You can typically expect less distortion, while sharpness should be exceptional. 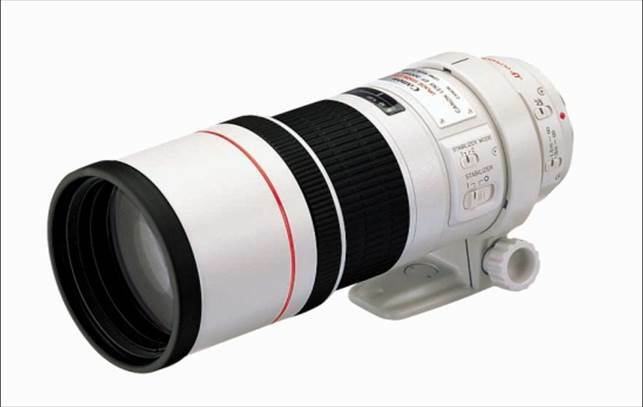 However, with the ﬁxed focal lengths of the Canon 200mm, 300mm and 400mm lenses in the group, you can ﬁnd that your options are limited, as you won’t be able to zoom in and out to adjust the composition. The longer 300mm and 400mm lenses have smaller maximum apertures of f/4 and f/5.6, although you can still get a fairly tight depth of ﬁeld, thanks to their longer focal lengths. 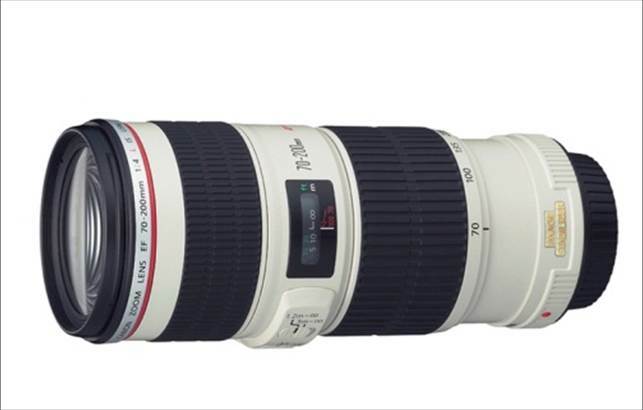 All but the Tamron 70-200mm lens on test feature ring-type ultrasonic (USM) autofocus, although Sigma calls it hypersonic (HSM). They’re typically much faster than basic micro-motor and even ultrasonic motor-driven autofocus systems, and therefore better able to snap onto a moving target quickly, before a ﬂeeting moment is lost. They’re also more able to keep pace with fast-moving targets in AI-Servo (continuous) autofocus mode. Other bonuses include practically silent operation and full-time manual focus override; the latter only works in One Shot autofocus mode but is still worthwhile, as you can manually tweak the focus setting if needed, after the autofocus has locked on. 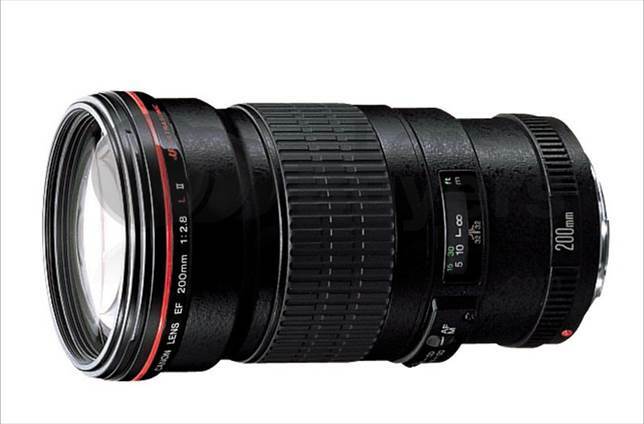 Despite being the same size and only 50g heavier than Canon’s cheaper 70-200mm f/4, this lens offers a four-stop image stabiliser and full weather seals, more worthy of an L-series lens. As featured in the 70-200mm f/2.8 IS, it’s a new-generation stabiliser that boasts automatic tripod detection and a secondary mode for panning in either horizontal or upright orientation. In many ways, the lens looks and feels like a downsized, lightweight version of the Canon 70-200mm IS, and the relative lack of weight is nice for long periods of handheld shooting. Build quality is good and the autofocus performance is very fast, even in low light. However, like the non-stabilised 70-200mm f/4, it can’t take advantage of the high-sensitivity central AF point in most EOS cameras. There’s little to choose between this lens and the non-stabilised version in terms of image quality. Both deliver excellent sharpness and contrast, with impressively low distortions and colour fringing. For handheld shooting though, the addition of the stabiliser makes this lens a much stronger contender. One way to get a faster f/2.8 maximum aperture at 200mm, while keeping costs down, is to forego any zooming potential and stick with a prime lens. This L-series lens aims to ﬁt the bill. It’s much smaller and lighter in weight than the 70-200mmf/2.8 zoom lenses, so it’s very comfortable for handheld shooting. At 770g it’s actually slightly heavier than the70-200mm f/4 lenses, but can still be used on a tripod or monopod without a tripod collar (it doesn’t come with one). The construction feels tough, with lots of metal rather than plastic in the body, as you’d expect from an L-series lens; however, it lacks weather-seals. Autofocus is fast and accurate, even in very gloomy lighting, and it’s well able to track sporting action indoors or out. Image quality is very good although, despite this being a prime lens, it isn’t quite as sharp as Canon’s 70-200mm IS zoom, which is a testament to the latter’s stunning performance. Ultimately, the lack of a zoom facility can be limiting and the lack of stabilisation can cause problems in handheld shooting, but this lens is still well worth the money. One of the letdowns of upgrading from a budget 70-300mm telephoto zoom to a fast 70-200mm lens is you lose 100mm in telephoto reach. The EF 300mm gives you exactly the same reach, albeit without a zoom facility, as well as being a stop faster at f/4 compared with f/5.6. Luxuries in this L-series lens are few and far between. It’s not weather-sealed, and the stabiliser is an old generation that only offers a two-stop advantage. All other stabilised lenses on test give a four-stop bonus. At least the ring-type ultrasonic autofocus is very quiet, but it’s noticeably slower than on any of the Canon 70-200mm lenses in the group, or Canon’s 200mm prime telephoto lens; there’s a marked delay when switching from a close-up subject to one in the background, and vice versa. The lens is super-sharp and virtually distortion-free, but overall image quality isn’t any better than from the Canon 70-200mm lenses. If you don’t really need the extra telephoto reach, then the added versatility of a 70-200mm zoom lens is a bigger attraction.